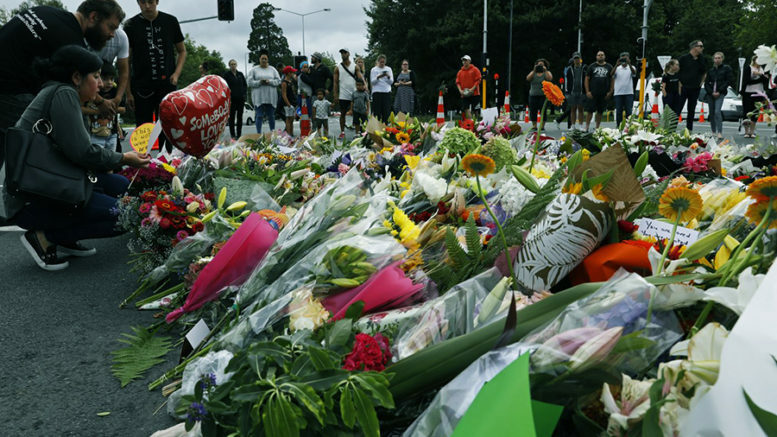 The mass murder committed by an Australian in New Zealand has put a spotlight on the promotion of racial division by major media and a stream of mainstream politicians. Using the race card as a vehicle to push through political objectives is not new, but it has not reached the height we see today since before World War Two. The world has condemned the act of terror. People in many countries have responded with their own shows of support. Fascism and the scapegoating of an ethnic or racial group have been given a frighting level of respectability. Australian governments have assisted, by singling out refugees as people to label as threats to Australia, and lock them in what should be called concentration camps. They have legitimised the practice and sought to convince the general population that it is justifiable to treat some people this way. This push comes together with a gradual shift towards more autocratic government, using the so-called terrorist threat, as a means clamp down on what were generally accepted rights, step us the general policing of the population, restrict media and become less transparent. The man who apparently led the killing of so many New Zealanders, had previously written a manifesto gunning for Muslims. He paraphrases the notorious Fraser Anning. But it should be noted, that much of what they say has been pushed by Rupert Murdoch’s media empire for years. Specialised columnists have repeatedly been used to sound the warning bells of the takeover of Australians by jihadists, just as they have been warning of the takeover by socialists, who are anyone else they don’t like. Their solution is to apply the jackboot. This is the same media that has created and publicised the African gangs scare in Melbourne. Australia must come to terms with the reasons why this is being done. Those who are behind fanning this politics of hate are concentrated in a very wealthy elite of corporate bosses and politicians. They are the controllers of the Liberal and National parties. One Nation iand Pauline Hanson are largely a media creation of Rupert Murdoch. Race hate attacks are routinely excused or minimalised, while threats coming from sections of targeted communities are exaggerated or invented. Watch the video clip below on the style of the Murdoch media. These people see the world that has provided them with what they have is becoming less stable, and believe that preserving it is more important than anything else. There are economic troubles and the possibility of worse on the horizon. Society has become much less trusting of political institutions and those who operate within them. There is a yearning to find an alternative direction, although it is not yet articulated. Those behind the peddling of hate understand all of this. Their answer is to set up targets, blame them for everything that is wrong, to deflect attention from their own role in the real problems. The most basic cause of the emerging crisis is the way the economy is being run. Extreme capitalism has been pushed along by the corporate world and this has been helped along by governments applying neoliberal policies, which include the freeing of the financial sector, cutting back on social programs and opening government assistance to major corporations. This has resulted in making the rich richer and everyone else worse off. It has also caused significant damage to the economy, which means that Corporate capitalism is undermining the conditions that support it, damaging and pulling us all down with it. Nevertheless, those at the top continue to do well out of it. Their share of income is still growing, and, as WikiLeaks has revealed, they are provided with a massive tax avoidance industry. And this elite works hard to maintain its privileges. This is what lies behind their promotion of the politics of hate. Their intention is to keep on top by turning to the iron fist. They mould a few would be assassins to perform acts of violence, to justify the direction in which they want to pull society. The killer in New Zealand is one of them. His horrifying act deserves to be condemned. While we’re at it, it would be wise to pay attention to those who stand behind him. If this tragedy galvanieses the rest of us to stand together against the politics of hate, to isolate those who peddle it, and make sure an atrocity like this is not committed again, the deaths of the victims will at least have some meaning. Be the first to comment on "New Zealand murders are an outcome of the politics of hate"